Jonathan focuses his practice on sports business, economic development and corporate law. He has more than 20 years of experience representing teams, owners, athlete representatives, public entities and industry members as outside counsel and has served as General Counsel to teams in the NBA and NHL. He advises an array of clients in the sports industry, primarily in the areas of venue development, ownership transfers, financing, sponsorship and marketing, media rights, intellectual property, government affairs and public relations. Jonathan also guides clients through the state and local regulatory and political process, helping them navigate administrative hearings, public-private contract negotiations and the procurement of economic development incentives. Jonathan is well-versed in corporate law outside the sports industry, advising clients on debt and equity financing arrangements, asset-purchase agreements and facility lease and/or development agreements, as well as a broad variety of contracts involving media relationships, intellectual property licensing, venue management and service agreements. Negotiated and drafted agreements relating to the development of multiple stadiums and arenas in major and minor professional sports leagues. Clients have included teams, leagues and public entities. Established development deal parameters, negotiated and drafted facility use and management agreements and implemented basic business infrastructure agreements required for ongoing operations and financial management. Negotiated and drafted numerous foundational sponsorship agreements, including naming rights agreements, for MLB, NFL, NBA, NHL and MiLB facilities. Assisted an agent for NASCAR drivers (top series) in the negotiation and drafting of driver and related agreements with a racing team. Negotiated the terms of an economic development grant package in support of a $60 million downtown Charlotte baseball stadium project. Served as interim general counsel to a regional commercial airline headquartered at Raleigh-Durham Airport, with an emphasis on federal and state regulatory matters. Guided a developer of a continuing care retirement community through the licensing process by the state department of insurance. 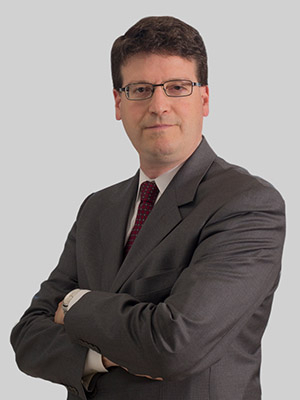 Jonathan was of counsel at Smith Moore Leatherwood LLP, which merged with Fox Rothschild in 2018.